Happy Wednesday, friends! I hope you're having a great week so far! If you new around here, you might not notice, but if you've been here for a while, you might notice the blog looks a little bit different. So I hope you're loving the new look and can find some of the pieces I've written for POPSUGAR, INSIDER, Buzzfeed, and other outlets a little bit easier. Anyways, recently I got to stay at Disney's Contemporary Resort and there's so much to do at the resort that I never wanted to leave while we were there. For the sake of this post I'm going to combine the two times I've stayed at Disney's Contemporary Resort and everything we did. First off, we stayed at Bay Lake Tower which is the Disney Vacation Club tower at The Contemporary. It's one of my new favorite resorts! It's so close to Magic Kingdom, and by so close I mean that it's about a five minute walk, and about a three minute sprint if you're trying to make it into the park before it closes! That's honestly one of the best parts of staying at The Contemporary is being so close to Magic Kingdom. Besides being so close to Magic Kingdom, one of my favorite parts about staying at The Contemporary is Top of the World Lounge! It's a DVC members and their guests area, with amazing views of Magic Kingdom, Seven Seas Lagoon, and the monorail resorts! 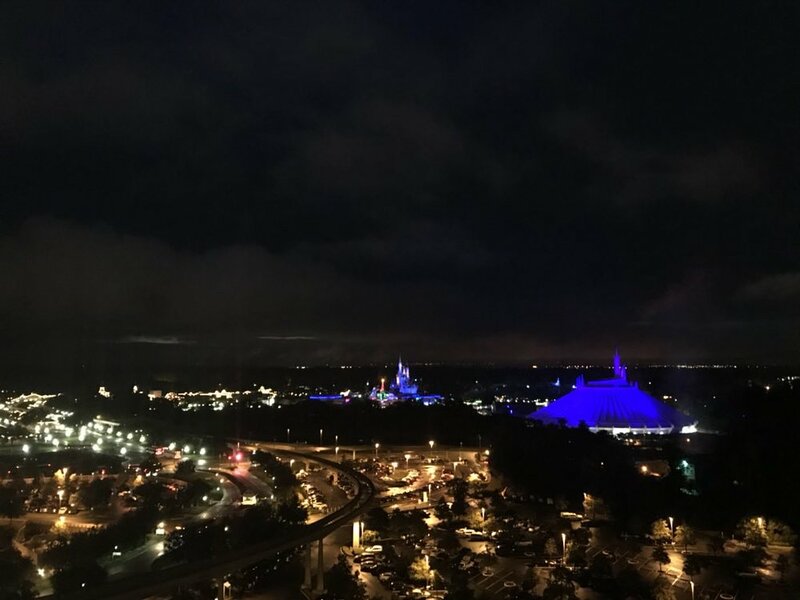 Guests can go up to Top of the World Lounge and watch Happily Ever After, enjoy the view, get a drink and some snacks and just chill out. If you are going to go up to the Top of the World, you need to get the cake! It's about 700 layers of yummy chocolate cake, icing, and ganache and it's well worth the trip up to the lounge by itself! 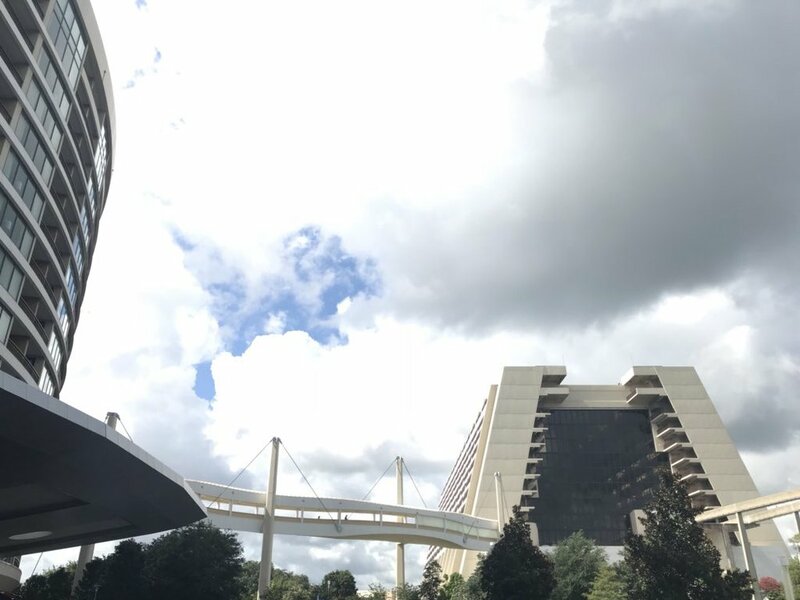 Outside of food and drink, there's a ton of activities to do at The Contemporary, from exploring the grounds, swimming, and water activities out on the lake. We rented a pontoon boat from the dock outside of the resort and were able to go all around Bay Lake and Seven Seas Lagoon, right up close to other resorts, the old River Country water park, Discovery Island, and Magic Kingdom! You can rent pontoon boats for up to ten guests, and take them out for as long as you like. The price is based on how long you stay out on the water, but to explore everything it took about an hour and a half. You can bring drinks that are not in glass, and snacks on the boat, which is really nice as well. There is a downside to staying at The Contemporary resort, and it involves food. If you're staying at Bay Lake Tower there's no where to grab something quick, even if it's just a coffee and a pastry before heading out for the day. You have to walk over to the main building that the monorail goes through to get snacks and a meal if you're wanting to eat at the resort. There is a covered walkway from building to building, but it still seems a little strange that Bay Lake Tower doesn't even have a coffee shop. Other than that the worst part of staying at The Contemporary Resort is leaving, because it's honestly so good. Well friends, that's it for this week! Let me know in the comments if you've ever stayed at The Contemporary or Bay Lake Tower, or if it's still on your goal list! Also, be sure to follow me on Instagram to keep up with all of my Disney adventures.